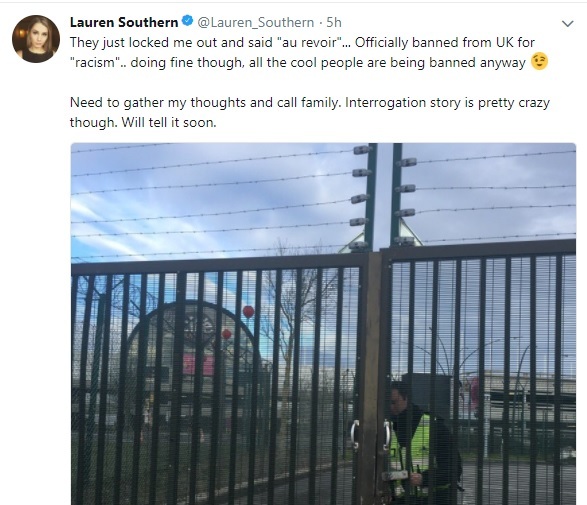 Racists Lauren Southern and Brittany Pettibone have been legally prevented to enter the UK to support and interview convicted fraudster Stephen Yaxley-Lennon. The Home Office state that they believe Southern to present a threat to the fundamental interests of society and to the public policy of the United Kingdom. Both of the notorious racists seem confused as to why they were denied entry into the UK. 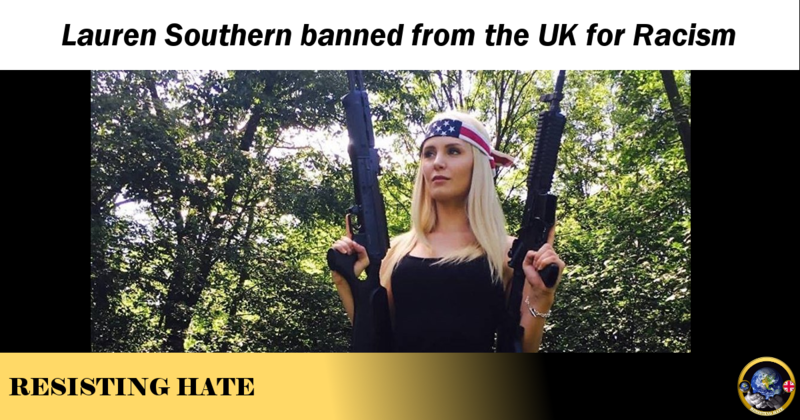 Southern attempted a brave face but acknowledged her ban was due to racism. 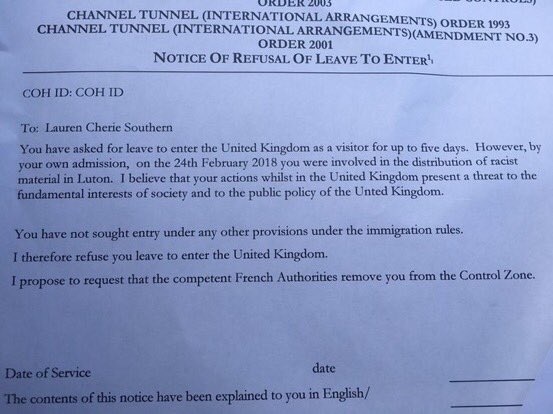 Let us hope this is indicative of the tide turning in regard to how the British government views antagonists, haters and racists from other countries. We do not want or need people like Southern in our country, attempting to inflame racial tensions and cause division in our communities. ⟵What Are ‘TERFS’ Good For?